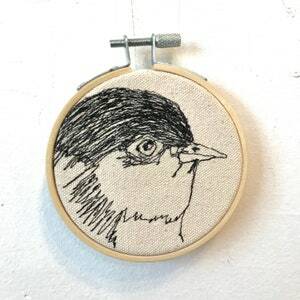 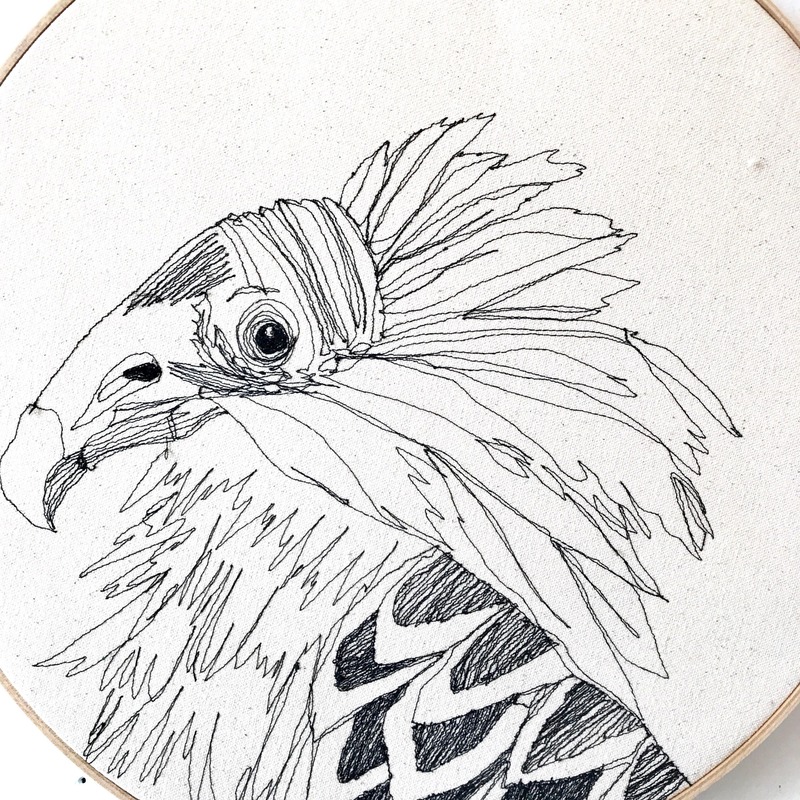 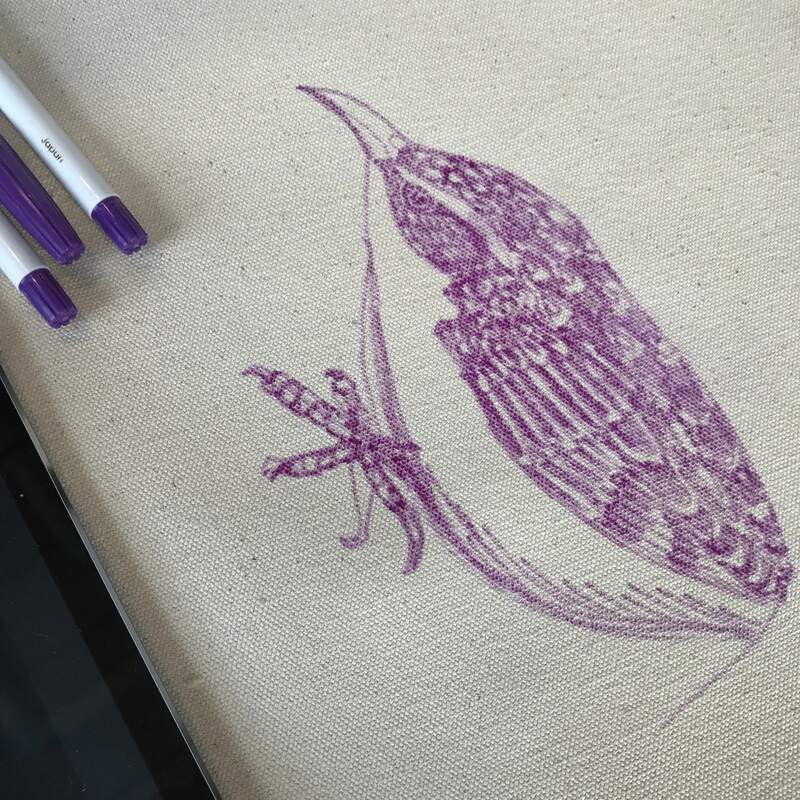 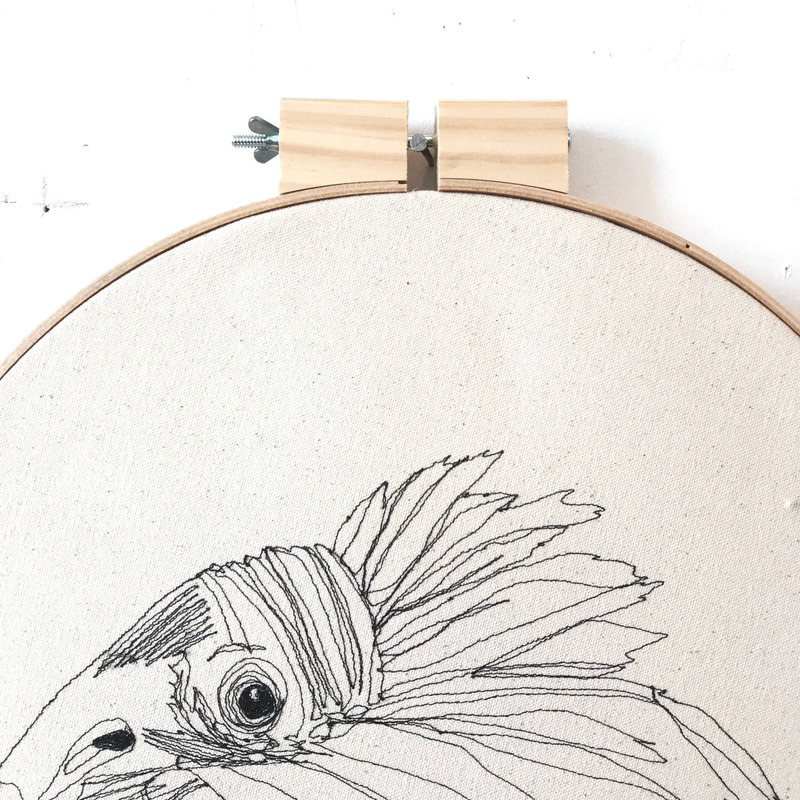 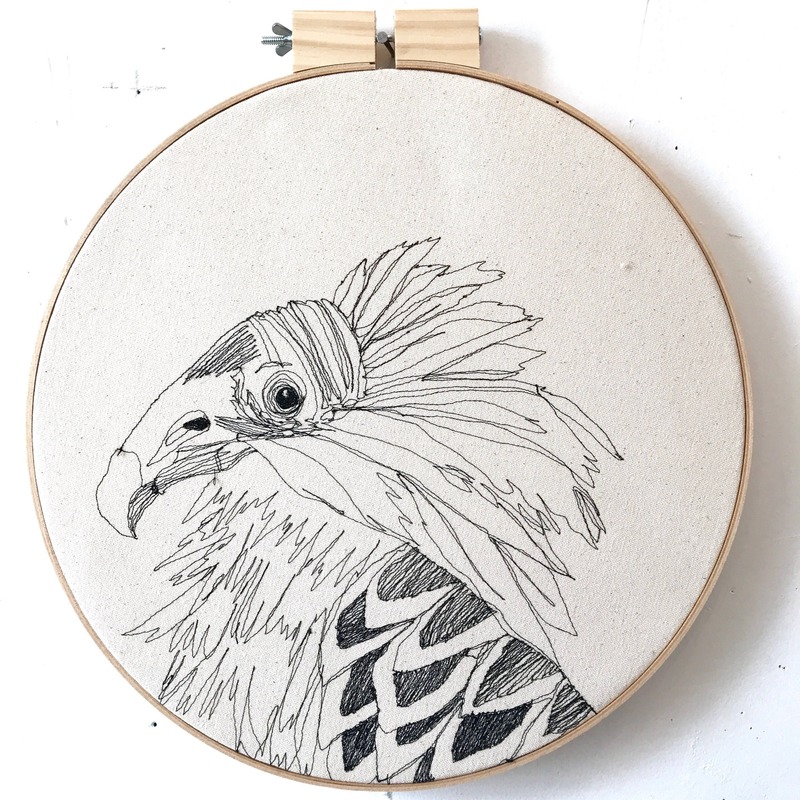 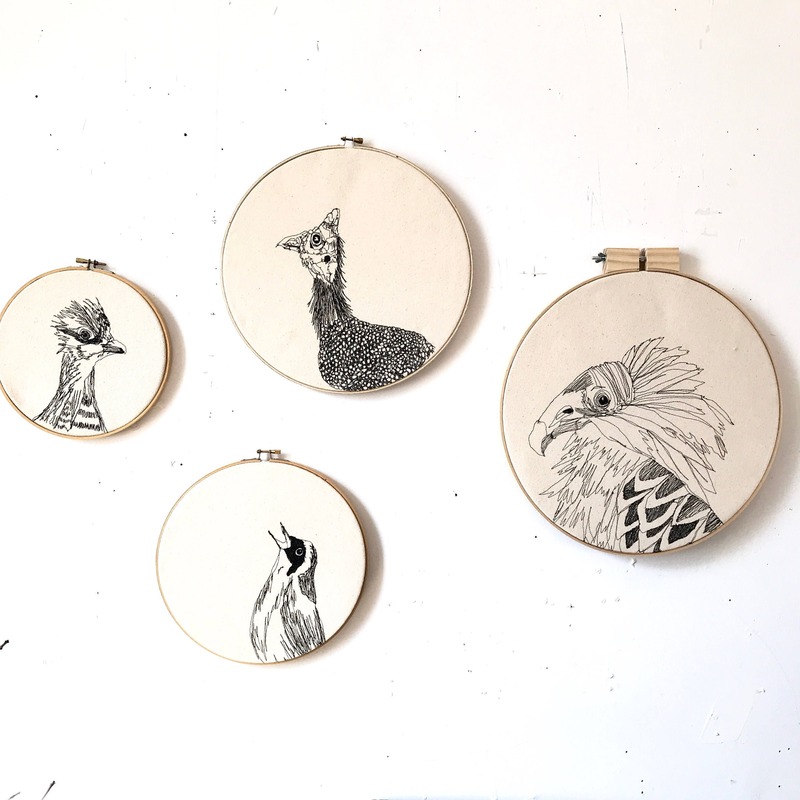 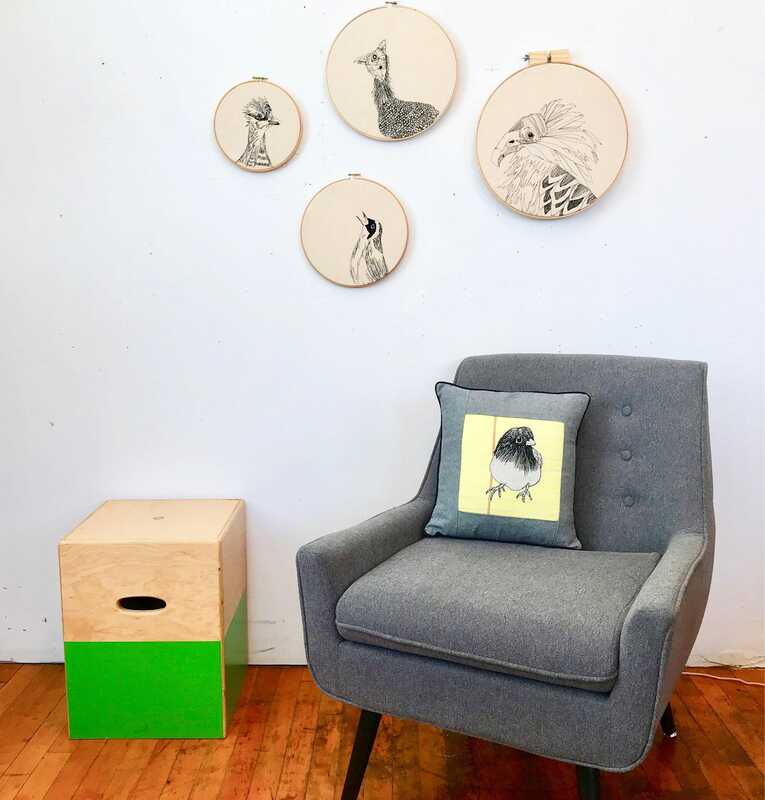 This bird portrait has been created by free hand stitching on a sewing machine! 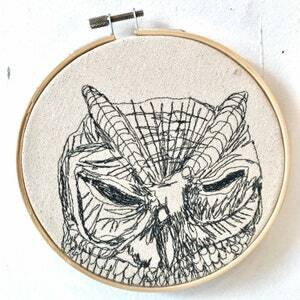 Otherwise, I draw with my sewing machine. 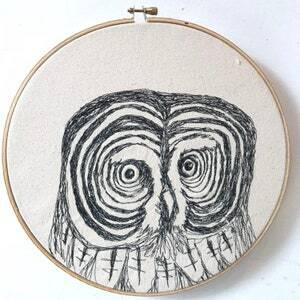 There is absolutely No programing involved. 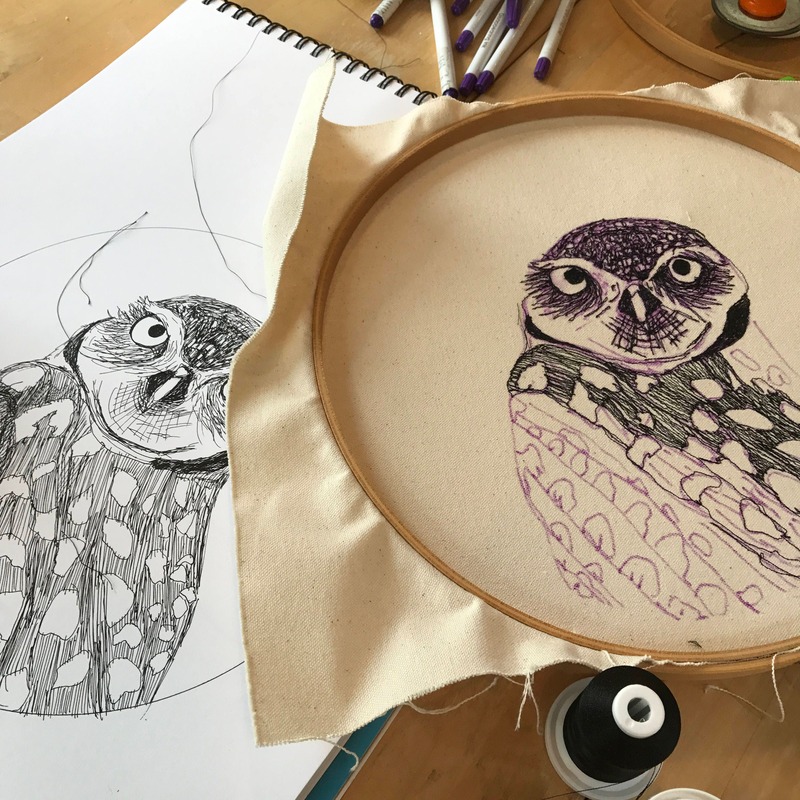 I draw each portrait first as an ink drawing, and use that to trace guidelines of the image on the canvas using a fabric marker that fades or washes away. 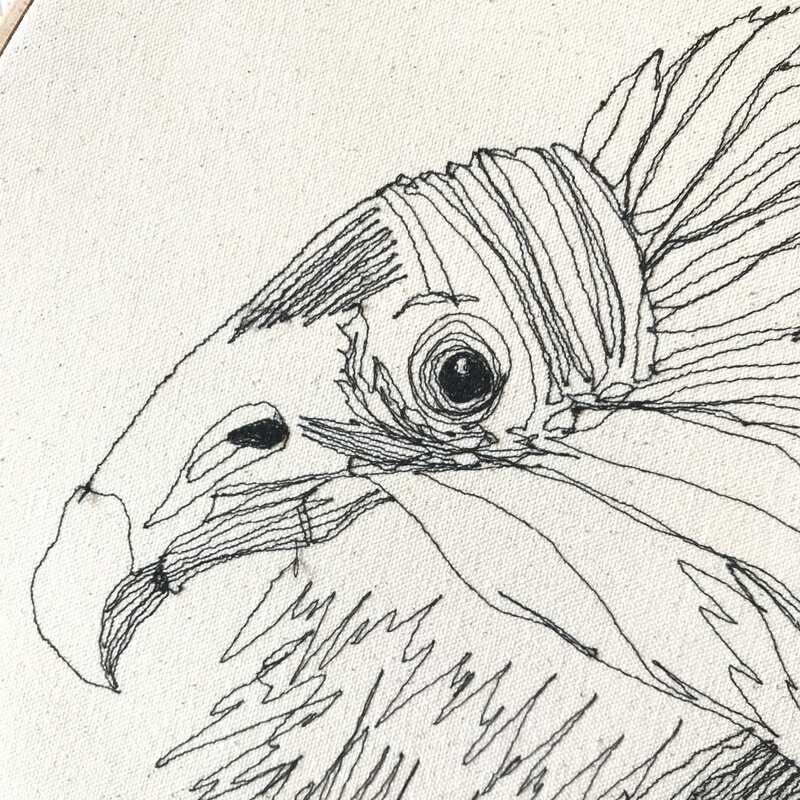 Even though I may use the same drawing per bird, each becomes a one of kind due to the process that I use. 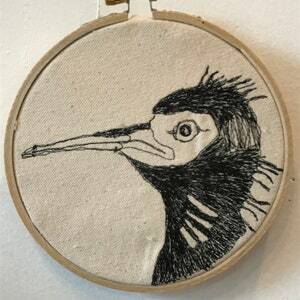 Stitched in black on heavy duty cotton duck canvas fabric and is stretched in a 14” no slip wooden embroidery hoop, ready to hang! 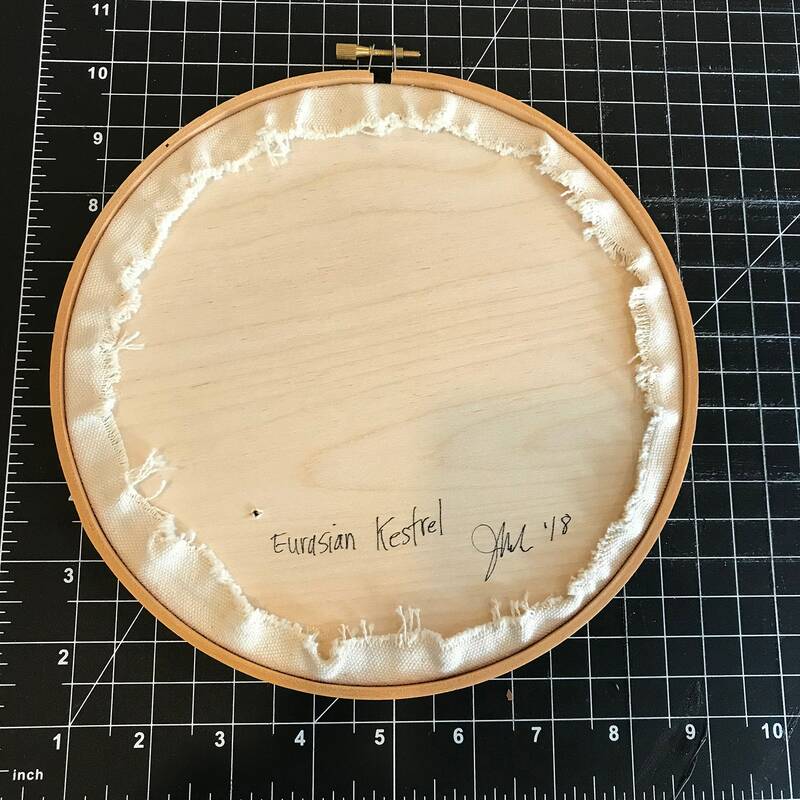 Also comes in a 12” embroidery hoop .